Turn to us at 1st Choice Home Centers to help you find the perfect manufactured home! At 1st Choice Home Centers, we have manufactured homes for sale that will fit your family’s lifestyle and budget. Our company was established in May 1999, and our senior management team has over 27 years of experience in the manufactured home industry. 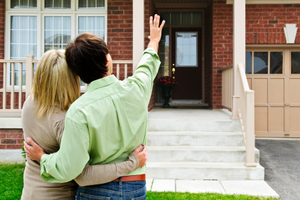 Everyone at 1st Choice recognizes that your home is the single most important investment you will ever make. We specialize in making your dreams a reality! Based in Statesville, North Carolina, we have modular homes and prefab houses that are ready to occupy throughout North and South Carolina. We can also build a home for you from scratch, so you’ll get exactly what you want. You’ll be amazed at the wide variety of floor plans and home styles available! 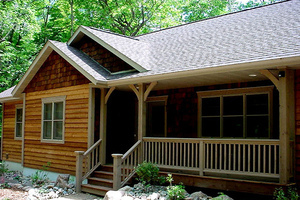 We can even add a garage, attic, or any other features you need to your modular home. If you’re concerned about financing your new modular home, don’t worry another minute! Some of our homes are available for only $500 down! Also, by being a North Carolina Mortgage Broker, 1st Choice Home Centers has a loan originator at each location who can offer FHA loans, USDA loans, home only loans, VA loans, and conventional mortgages. If you have bad or no credit, we also offer owner financing on some homes and have a great first-time buyer program. 1st Choice Home Centers serves Statesville, Troutman, Mocksville, Taylorsville, Maiden, Conover, Newton, Harmony, Union Grove, Mooresville, and surrounding areas. Our office is open Monday through Friday from 8:30am to 7:00pm and Saturday from 9:00am to 6:00pm. Whether you are looking for your first home, a smaller home, or the home of your dreams, we are dedicated to your satisfaction and hope that you will make 1st Choice your only choice for manufactured housing! If you are looking for a new home in the Statesville, North Carolina area, contact us at 1st Choice Home Centers. We can build the modular home of your dreams! Show us a Clayton, Schult, Oakwood, or Fleetwood home offer from a competitor, & we'll beat their price! Save Thousands On Your Next Modular Home Purchase!